Ice cream 0,5 kg (bucket)(1 pt.). Birthday, Colleague, Daughter, For children, For her, For him, For mother, For young lady, Girlfriend, Gratitude, I Miss You, Mother-in-law, Sister, With love, Аnniversary. 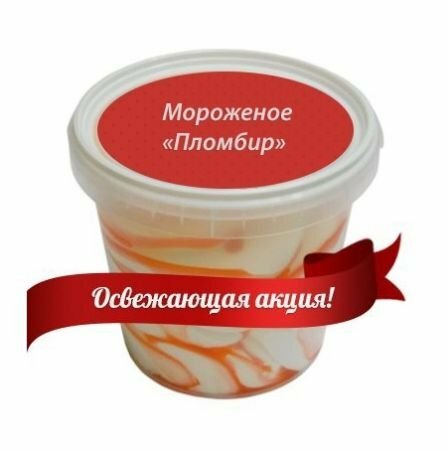 Ice cream in a bucket 0.5 kg as a gift to orders with amount from 30$. 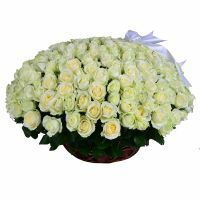 Until the end of summer, pleased your beloved with fresh flowers, bouquets and gifts, giving coolness at such hot days. And most importantly, what's more pleasant for You, absolutely free. Attention! The composition of ice cream is considered as a wish, but it is not guaranteed. Ice cream will be purchased at the nearest store. In case of long delivery, the product can be replaced with sweets or fruit. 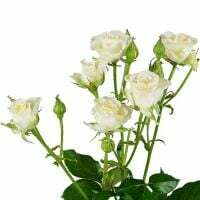 *The promotion is valid for orders with delivery to the cities of the CIS countries. Or write at comments of Your order "+ice cream"
Manager response: Thank you for your feedback! We will be glad to fulfill your next order! Manager response: Claude,thank you for usinf our service. Have a good day! Very satisfied with your service. Will definitely recommend to friends. Thank you!!! All on time! All as promised! Paid for services from the USA without any issues! Thank you guys! Manager response: Thank you for choosing our company! We will be glad to help you again! 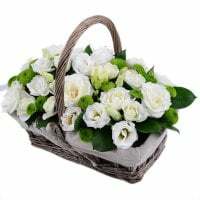 Very good quality flowers and fast delivery time! 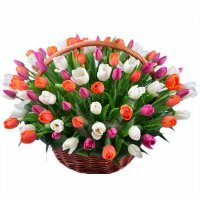 Also like it that you can get a little extra gift ;) In case i need to send some nice flowers to someone in Ukraine again, i'd definately use UA flowers again! Recommendation worthy! Thanks and greetings from the Netherlands! Manager response: Thank you for your order! We will be glad to work with you in future again!